Just Another Day...: A HUGE Announcement... #MAW4Chase! Can you even believe it?! We are literally (okay, you know me too well---"figuratively") speechless at the incredible events that are about to unfold in our sweet boy's life in just over a week. And I am going to reveal ONE of the MANY astonishing components of his celebration to you today! Make-A-Wish® grants the wish of a child diagnosed with a life-threatening medical condition in the United States and its territories, on average, every 38 minutes. We believe that a wish experience can be a game-changer. This one belief guides us. 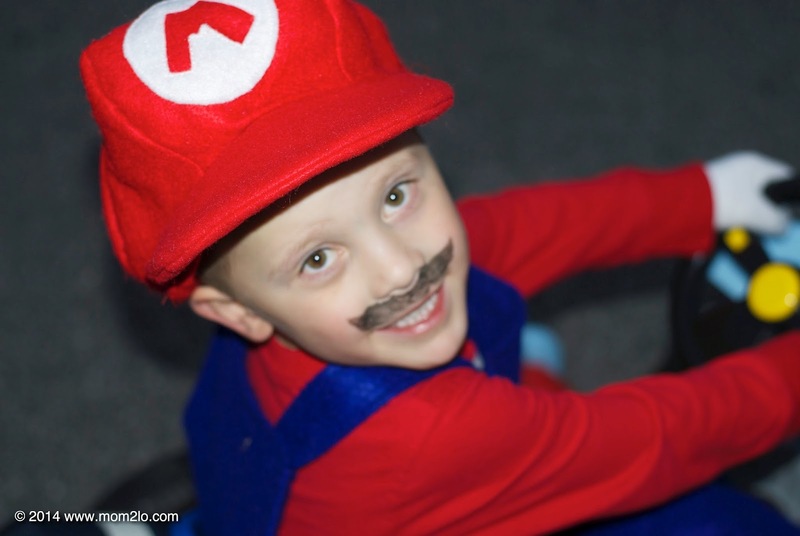 It inspires us to grant wishes that change the lives of the kids we serve. And you've probably visited a Macy's department store at one time or another in your lifetime. But have you heard of their partnership with Make-A-Wish® called the Macy's Believe Campaign? Beginning on November 7th, children across the country are invited to drop off their letters — stamped and addressed to Santa at the North Pole — in the Santa Mail letterbox at any Macy’s store, or create and send letter online at macys.com/believe. For each letter received, Macy’s will donate $1 to Make-A-Wish, up to 1 million dollars, to help grant the wishes of children with life-threatening medical conditions. Friday, December 12th is National Believe Day! On this special day, Macy’s will help grant wishes across the country for children with life-threatening medical conditions. Join in on the magic that makes these wishes possible by visiting your local Macy’s store and dropping off a letter to Santa. If you've been following along so far, you may have already come to this exciting conclusion: Chase will be granted his wish at our local Macy's on Friday, December 12th as part of National Believe Day!!!!! Can you believe it?!?! What an incredible privilege for our family but most especially -- our Rock Star, Chase!!! PLEASE join us at Macy's (at our local mall) on Friday, December 12th at 12:45 PM to witness Chase's arrival and his amazing wish unfold -- just look for the red carpet! I know it will be extra special for him to see familiar faces and it will be so meaningful to us to have the love and support of those of you who are able to join us for this incredible, once-in-a-lifetime experience for Chase! I know so many of you have followed our journey with Chase from his prenatal diagnosis of Hypoplastic Left Heart Syndrome, through his 1st heart surgery, 2nd heart surgery, 3rd heart surgery and every procedure in between. But you've also been there to celebrate with us over the past 5 years, most recently with his amazing milestone 5th birthday party -- and all of the holidays and celebrations in between! We are truly so very grateful for the love, support, prayers and kindness of each and every one of you who have impacted our lives in such meaningful ways. And we know, if given the chance, you would want to do something special to honor Chase and your loving support of our family. Write your letter to Santa and drop it off at your local Macy’s store, or create and send your letter online at macys.com/believe today. Ask your family and friends to write letters, too. Spread the word and help support Make-A-Wish this holiday season. Easy enough, right? Make-A-Wish will receive $1 from Macy's for EVERY letter sent to Santa! Would you please consider supporting Chase's wish coming true by helping to give back to the incredible organizations making it possible? I believe in you! DISCLAIMER: Hubs and I have worked with the amazing representatives from our local Make-A-Wish chapter and are VERY knowledgable and informed of the entire wish awesomeness that is about to go down. However, we have decided to guard the details VERY closely so we can ensure all of this will be a GINORMOUS surprise to our sweet little guy on Friday, December 12th. We look forward to seeing him receive his wish and to sharing this exciting surprise with each of you who are able to join us for the big reveal! Thank you for your understanding!! !